Neopragmatism and Theological Reason examines the recent explosion of interest in pragmatism. Part I traces the source of classical pragmatism's distinctive thought to Peirce, James, and Dewey - specifically to their shared theological understanding inherited from Emerson's Transcendentalism and British Romanticism. Part II reconstructs this rationality for postmodernity, showing how neopragmatism, properly understood, is theological reason. Kimura discusses the return of religious themes in philosophers like Putnam, Cavell, and Rorty and critiques the neopragmatic theologies of West, McFague, and Kaufman. 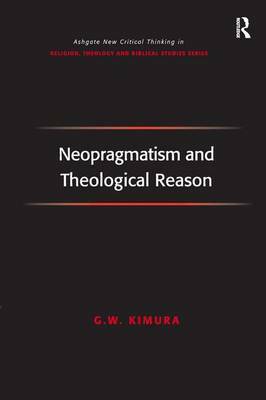 Neopragmatism and Theological Reason explores pragmatic themes across philosophy, theology, and literary theory, arguing that neopragmatism must acknowledge its theological sources and then reconstruct its rationality to the religious context of modernity/postmodernity.